AND GOD CERTAINLY TOLD ME TO SHARE THIS WITH THE WORLD! THE SHOW AIRS ON THE DAYSTAR TELEVISION NETWORK AND ON THE INTERNET. GOD IS THE ONE WHO RELEASES 'CREATIVE IDEAS' POWER TO PROSPER YOU. Hello! 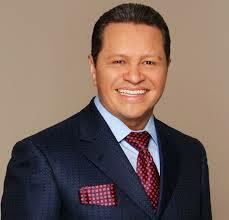 I am Apostle Guillermo Maldonado! I welcome you and The Supernatural Now! Sometimes when we talk about the Supernatural, we only see one aspect of it, miracles, signs and wonders. What about the power in the Supernatural to prosper? See: Deuteronomy 8:18 But thou shalt remember the LORD thy God: for it is he that giveth thee power to get wealth, that he may establish his covenant which he sware unto thy fathers, as it is this day. You know the times we live in right now, we must believe in the Supernatural - the power of God to prosper. I want you to be ready and be prepared. In the times we are living in, economics have been shaking. Can we trust God to be the Supernatural God to bring Supernatural provision. Do you know what his name is? One of his names is El Shaddai! Full of provision in God! I have been teaching a series of lessons in finance, particularly on the principle of Stewardship and the principle of the kingdom of productivity. Psalm 24:1 declares that "The earth is the LORD's, and all its fullness." Therefore, the responsibility of a Christian steward is the God-given privilege to manage a part of God's property. Without this foundational perspective, life's work becomes nothing more than a selfish pursuit. Whenever the spirit of God is moving, that is where the economy shifts. God sais, "I will release new creative ideas onto my people!" One idea of God is enough to make wealth! Israel was in Egypt as slaves for 400 years and they came out as millionaires. Egypt gave everything they had to the Jews. It was the favor of God onto the Jewish people. The favor of God in you will make people to give to you what they have even if you don't deserve it. It's easy for people to forget about God - If God increases you, then you must increase your tithes and offerings accordingly. You go to church and spend time with God to sustain your favor. You don't have time for prayer? You forgot who prospered you? Don't forget who prospered you. God is the One who releases the creative ideas that prosper you. You will never be wealthy working for someone else. If God gives you an idea - it will multiply in your hands. One of the aspects of God is called the anointing. Where is the anointing? That is the power of God to serve God. We must be anointed Supernaturally. We cannot do it on our own ability. This is one area of the power. One kind of power is creative power. Its a power that is creative. Its an eternal power. So God says, "I am the one who gave you power." Supernatural power is above and beyond human skill. Its over and above talent. One idea from God is worth millions of dollars. Somebody has to have the right heart to receive what He gives you and multiply it and sow it back into the kingdom of God. Power to make wealth. It comes only from God! You get the 'seed' from God and multiply that and for God's purposes. How? You bring your tithes and offerings back to God so that he can give more! Your 'seed' will prosper everywhere. Every area of your life - the prosperity in you will show others that you have a covenant with God. They want to know l Shaddai - the more than abundance. Lift your hands and say - El Shaddai. So God says, "I want to prosper you - what is the purpose of that wealth? 1. To establish the covenant. 3. To leave a legacy to your children! How can we take this revelation of the kingdom and apply it into your life? I said: "God! How do you prosper your people?" He says, "Wealth comes to their hearts!" Life: The Lord says: "There are many way!" With an idea! Creative idea! So God manifest his wealth to you with a creative idea. To get those concepts, you must be in the receiving spirit to get those ideas. The world today is getting ideas in different places - but original ideas - He has the power! One of the way God manifests is through creative ideas. 1. These ideas can come in a dream, or in a vision. 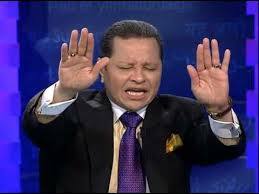 They can come to you after a prophetic word and someone will write it down and you say, "Oh my God! I never thought about this." 2. You must cultivate the idea. You must think, "Okay! How can I work this idea?" 3. Write the idea down and put it into practice. Write it and put it into practice. 4. You don't get wealth from old ideas - only new ideas. In other words, this supernatural power is so powerful. This one idea, the creative idea is enough to make you prosper. Mmmmm. Jesus, Jesus, Jesus! Can I hear an Amen? But you say, "But Pastor. I don't know how to hear God! I've been in church 20 days. I don't know!" It's easy! When you want to receive those kinds of ideas where you prepare the atmosphere for God to flow! "God! What about this idea? What about this invention? What about this?" And God will start talking to you. But you are going to learn it from here! if you want something creative to come into your head and your heart, you always create it in the dimension you always call to! If you are a businessman, those ideas will come in the area of business. If its ministry, the ideas come in the area of ministry. If you are a musician, the ideas will come to you in the area of music. In other words, those ideas will come in the area you are called. Don't try to do something you aren't called to. And you don't have the grace! You say, "Master! I'm trying to do something, but I don't like it!" You must like what you do. The most fruitful people and their employees and their employment - they like what they do. They love it! There is a difference between being wealthy and being rich. A wealthy person is someone who has a bunch of peace! A wealthy person is someone who is full of joy! A wealthy person is someone who is prospering in their family! A wealthy person has money! Money is not being wealthy. So wealthy is part of money, but where you work the blessing - always enjoy the money! So! God said to me this morning, "I want you to release it. I want to release new ideas in my people! New creative ideas! And I want you to write them down." Father! In the name of the Lord Jesus Christ - I pray for every person in this building for the Holy Spirit - Let us worship! Father! For the Holy Spirit to release creative ideas from the young to the oldest. From the young to the oldest. To the business women, the business men, those in college, those at University, those at home. Every eye closed - every eye closed! I don't want you to get distracted. I want you to hear God! Father. In the name of the Lord Jesus Christ. I pray right now for these people who are watching on the internet and television. I pray - Father - that you bring creative ideas like never before. Release these ideas for new business, new jobs, promotion ideas to successful and wealthy is what they do. Father! They will understand that it came from you and they will give you the credit and they will become a covenant with you. They will give you an inheritance to the children and they will finance the work of the kingdom, the gospel of the kingdom, around the world. I thank you my Lord! I thank you! Release it! Let it go! Let it go! I could to 3 - even on the internet - those who are watching by television. Creative ideas from the Supernatural God! ONE! TWO! THREE! NOW! THERE YOU GO! NOW! THERE YOU GO - THERE YOU GO! THERE YOU GO!